The Rothco Special Ops Soft Shell Jacket In black are constructed with a breathable moisture wicking fabric and a 100% waterproof polyester shell. The Special Ops Soft Shell Jacket has 3-Layer construction to deflects wind and wicks away moisture and retains body heat. 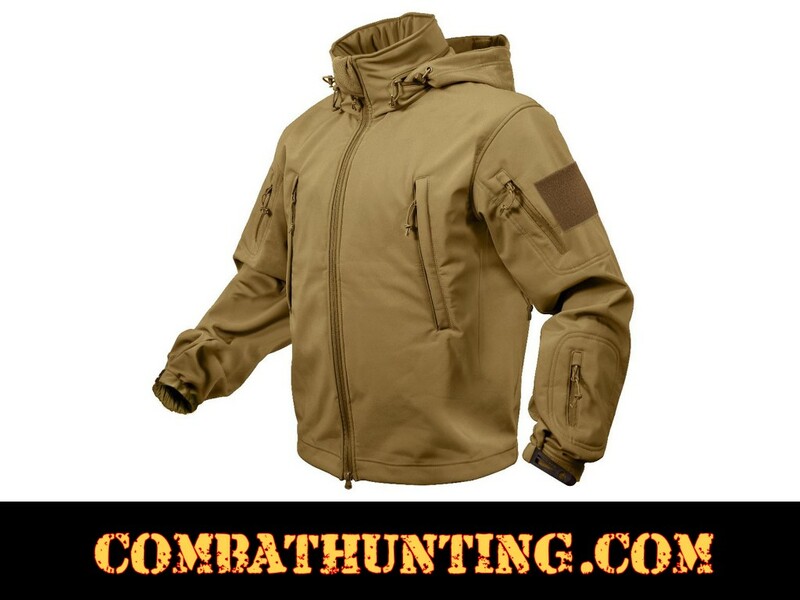 The Spec Ops Soft-shell Tactical Jacket Is Lined Stand Up Collar With Concealed Detachable Hood , The Collar Has Zipper Pouch To Hold Hood When Hood Is Not In Use , Vent Zipper Under Each Arm , 4 Inches X 4 Inches Loop Side Of Hook & Loop On Each Shoulder For Patch Attachment , Drawstring Waist , Detachable Zipper Hood , Elastic Hook & Loop Adjustable Wrist Cuffs.